Fitness trends, workout routines, diet plans, equipment, and techniques keep on changing every now and then! However, each one of them is tied strongly to one core goal, of building a healthy, well-balanced individual! TranceForm Fitness, since its inception in August 2016, has continually worked towards this very target! With a dedicated team of fitness trainers, instructors, nutritionists, and administrative staff, we have preached and practiced holistic fitness for the past 2 years and counting! TranceForm Fitness Gym is an air-conditioned, state-of-the-art unisex fitness studio/club/gym located in Dhankawadi, Pune! The value on which this studio has been founded is that of maintaining a scientific approach to physical fitness and holistic wellness. These values reflect the highly skilled and experienced certified gym trainers and nutritionists that form the core team! They are truly the face of the brand, and ensure that gym members get the best guidance, assistance, and at times even motivation to stay committed to their fitness goals. Another core asset of the studio is the wide range of high-quality, scientifically designed equipment for weight training and cardio. This stresses equal focus given to both these crucial elements of a well-developed workout plan. Integrating all these, every member’s workout is aligned to their personal goals, with regular sessions with our in-house nutritionist to keep their intake of essential nutrients in check. Workout cards of each member are periodically monitored to check for progress, any changes that need to be incorporated, or the routine to be taken up a notch (for we believe in upward graphs!). That said, we at TranceForm Fitness are as rooted in the impact of nature on health, like that of strenuous workouts inside the four walls of a gym! Thus, our enthusiastic team conducts lots of fun, exciting, adrenaline-pumping outdoor activities such as weekend treks, one-to-two-day camps, or Sunday-morning runs at scenic locations in and around Pune city. These ensure that our members get a taste of earthy, natural ways of staying fit and healthy, and get to sweat it out in the midst of pure air and fresh breeze! Add to that the psychological impact of such outdoor sessions which contribute significantly to our members’ internal as well as external well-being, and create a sense of group bonding and cohesion among members! 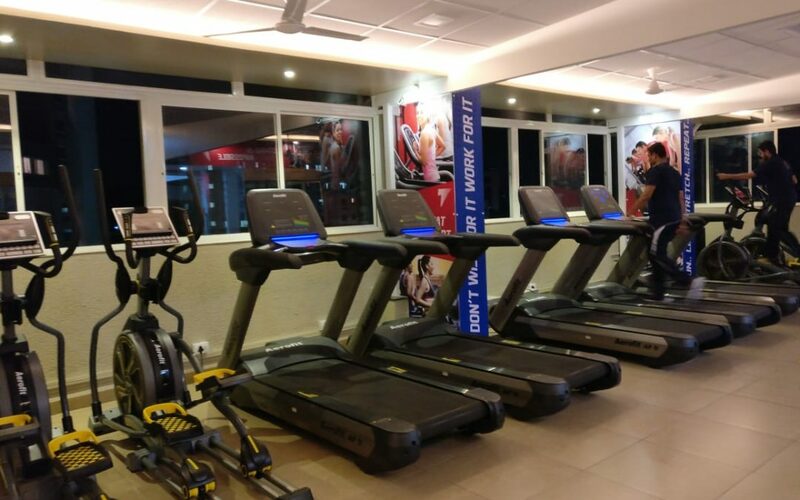 At TranceForm Fitness, gym members get to avail an exhaustive list of high-end facilities, such as functional training like Bollywood dance, Zumba dance sessions, Aerobics, Power Yoga, also, Personal Training, and Nutrition consulting. In addition, we provide, the essential locker facility, hot and cold showers (quite a necessity after a high-power workout! ), and spacious changing rooms. All in all, the aim is to make the gym a second home for members like you, where they can work their way to a healthy self, and relax and rejuvenate too! Our members are the ones who keep us motivated to push our limits, they are the family that encourages us to keep going, and the best critiques to help us improve. So, in anything that we do at TranceForm Fitness, the goal is to ensure not just happy, but also healthy individuals! So, for anyone who believes in doing the best for their mind and body, and is looking for likeminded fitness enthusiasts, the doors of TranceForm Fitness are always wide open, all charged up to take you to the pinnacle of fitness excellence!